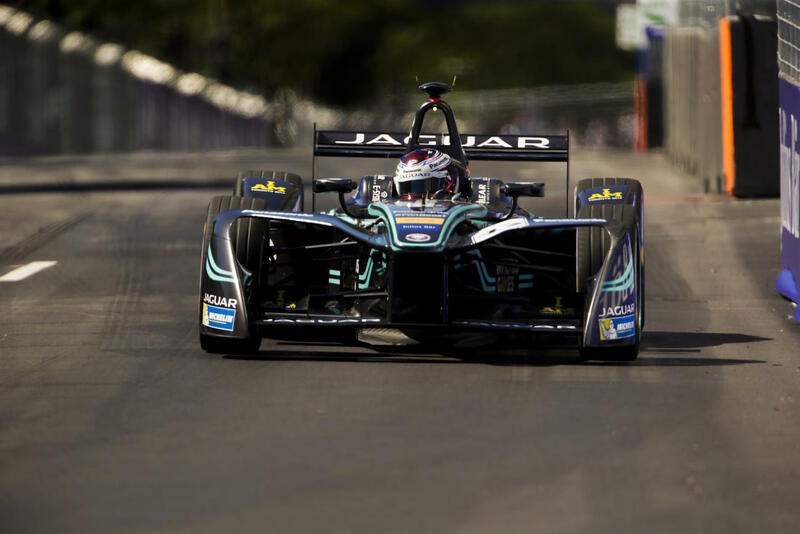 Whitley, Monday 8 January 2018 – Leaving behind the bright lights of Hong Kong, Panasonic Jaguar Racing head to the hustle and bustle of Marrakesh, Morocco, for the next instalment of the FIA Formula E Championship. The third E-Prix of the season, on 13 January, starts at the Circuit International Automobile Moulay El Hassan before winding its way through the streets of Marrakesh. In the shadow of the city’s world-famous medina, the 1.86 mile track is one of the longest in the series, pushing teams to prioritise energy management. The British team made a strong start in Hong Kong, matching the same number of points awarded in the whole of season three. Former champion Nelson Piquet Jr showed signs of what is to come, drawing on his experience and knowledge to secure the team’s first points of the season. In race two, Mitch Evans reached Super Pole for the first time and recorded the team’s first ever podium in Formula E.
Panasonic Jaguar Racing recently announced that Paul Di Resta and Pietro Fittipaldi will drive the Jaguar I-TYPE 2 for the British team at the Formula E Rookie test day on Sunday 14 January following the Marrakesh E-Prix. Remember to vote for your favourite Panasonic Jaguar Racing driver to give them an extra boost in Marrakesh. FanBoost opens for the third E-Prix of the season at 17:00 GMT on Monday 8 January and closes at 16:10 GMT on Saturday 13 January.